English To French Online Translator: What About Confidentiality? English to French online translator is a highly regarded profession. Those who do it have many different skills and a lot of knowledge when it comes to languages and the way words work. Important documents often need to be translated and this can lead to a question of confidentiality. A language translator who is qualified and professional will be able to ensure that your documents are handled in a sensitive manner. There is a certain duty of care that all translators will have to their clients, and that includes keeping the information that they translate confidential. But there are other industries that also have a duty of care – these include solicitors, financial managers, doctors, and more. It is important that these professionals (and others) choose their English to French translation experts wisely, so as not to put their client’s information into unsafe hands. A good translator will always be happy to sign a non-disclosure agreement or contract that states they must not divulge any of the information they learn from the translation. If you speak to a translator who suggests that they don’t need to do this, or who doesn’t want to do it, then it is best to find someone else to carry out the work. Carrying out an audit will give you a good idea about the professionalism of the translation company or individual you have chosen. 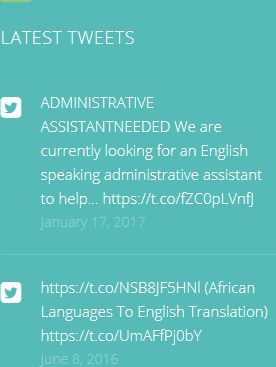 There are many different levels when it comes to translation. Check who will be carrying out the work, and if you are not happy, go elsewhere. 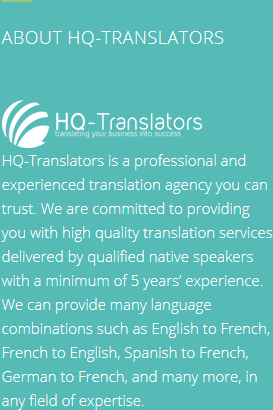 To find an excellent English to French online translator come to HQ-Translators. 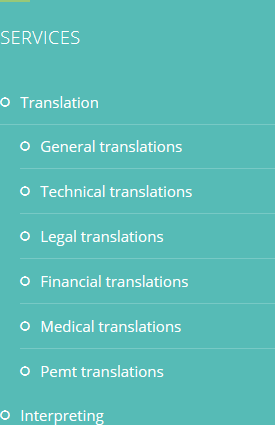 You can find out more about our extensive services at https://hq-translators.com. If you do have any queries, we are always happy to help. Call us on (00 237) 242 71 38 38 or (00 237) 693 21 69 27 or email infos@hq-translators.com.